Bobby Previte is well-known as the veteran drummer who has collaborated with John Zorn, Elliott Sharp, Marty Ehrlich, Ira Jane Bloom, and Wayne Horvitz among many others. But he is also an accomplished composer and arranger, as evidenced by a long line (about 35) of albums on which he leads or co-leads. 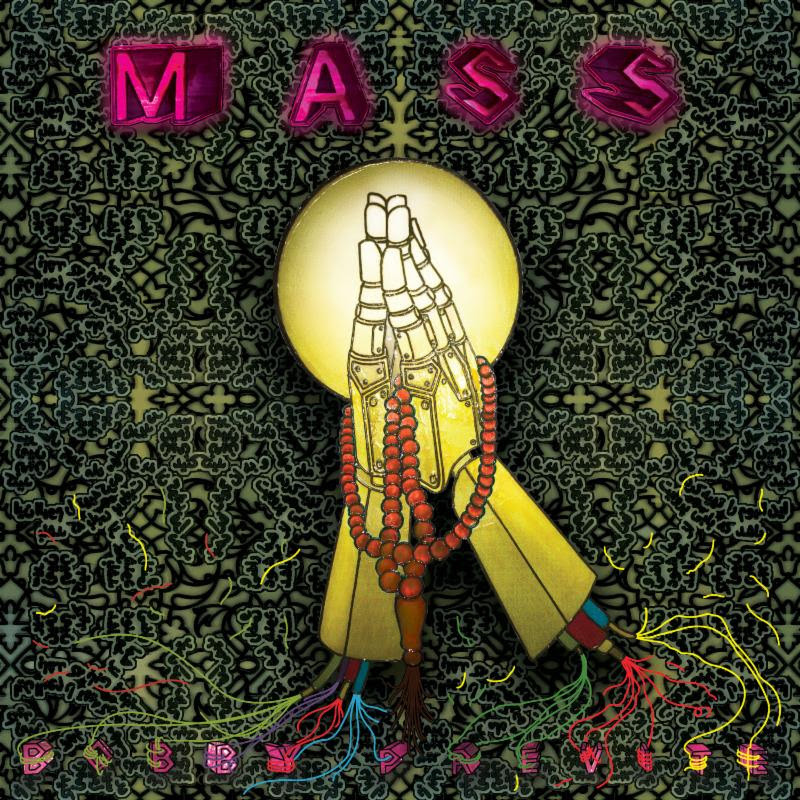 For Mass, coming out on November 18 from the U.K.-based creative music label RareNoiseRecords, he takes a left turn. Previte is joined by Marco Benevento on organ, Don McGreevy, Stephen O’Malley, Mike Gamble and Jamie Saft on electric guitars (the latter on just one track), and Reed Mathis on electric bass, as well as the the 11-voice Rose Ensemble, an early-music choral group. With these compatriots, Previte re-imagines the choral work Missa Sancti Jacobi by 15th century composer Guillaume Dufay with organ parts inspired by Olivier Messiaen. One part Black Sabbath, one part Sunn O))), two parts medieval chorus, Previte and friends blast through nine heavy-metal-inflected pieces. For instance, Offering provides ten minutes of riffing in the Iommi vein, Agnus Dei features the chorus over down-tempo bass, drums, and organ, while Introit features dual-guitar drones over pounding drum fills and unison chant. But what sets this release apart is the sheer power of the new and old. The guitars and organ loudly offset the delicacy of the singing in such a fashion that the listener is transported to place of ancient darkness. There is a distinct beauty that cannot be denied amongst all of the distortion and complexity. A highly recommended release and on my list for best of 2016.